Hey! 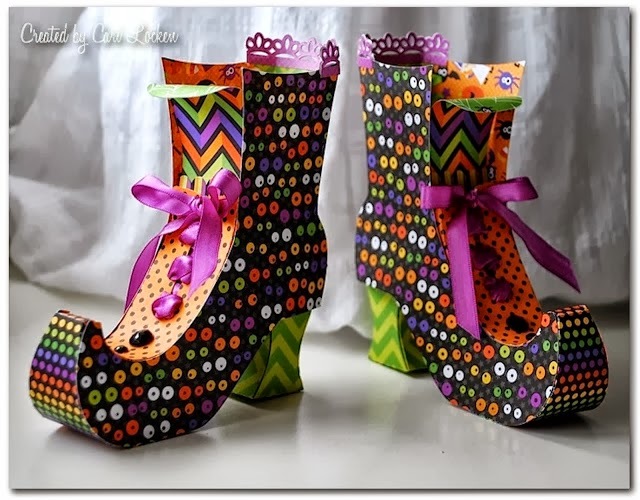 Did you see the awesome Witchy Boots by Cari Locken over on the Xyron blog yesterday. Her and their other Design Team member have been creating some equally darling ideas with Doodlebug and Xyron projects. Be sure to go over there and see how you can win!! 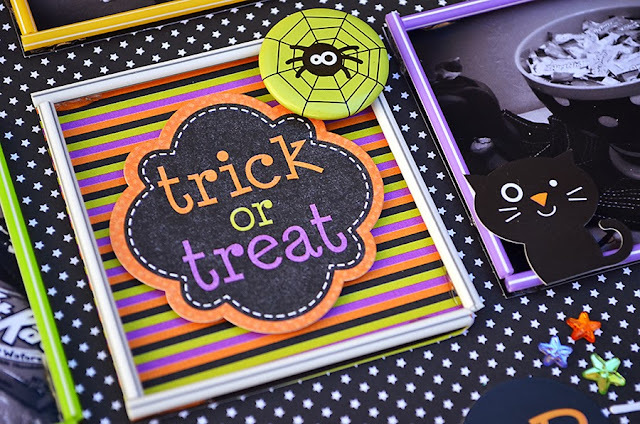 Please email us your shipping information at doodlebugdesign.blog@gmail.com and put "Halloween Parade Pixies Winner." Good Morning, Doodlebug friends! 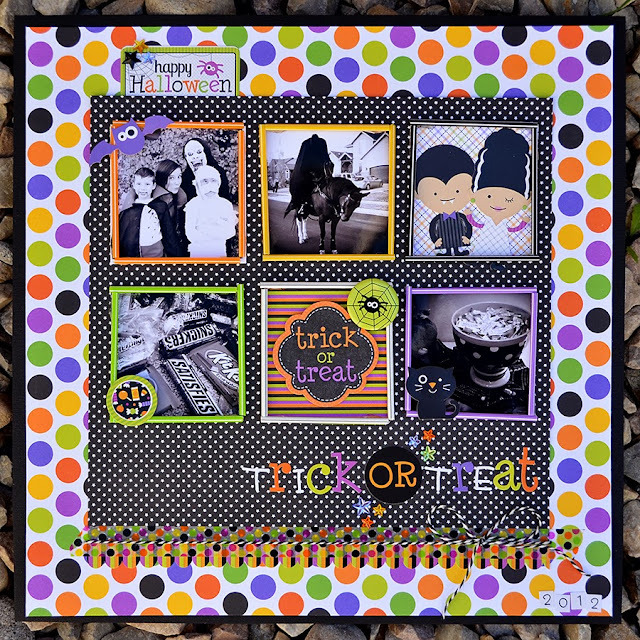 It’s Wendy Sue here today, sharing a fun way to use the new “pixies” on a Halloween layout featuring product from the new “Halloween Parade” collection! I decided to cut the pixies in half and use the pieces to create frames. They aren’t exactly perfect, but I think that it adds to the whimsical feeling that Halloween should exude! I printed out photos (2 1/2” square) from last Halloween and used the pixies to frame them. I also framed some patterned paper (from the 6x6 pad) and added fun stickers, tags, and other embellishments. Of course I couldn’t resist using the fun and Colorful Star Jewels, Doodle Washi tape, and Doodle Twine too! If you use pixies on your next project, be sure to leave a comment and let us know so we can see your creativity at work! 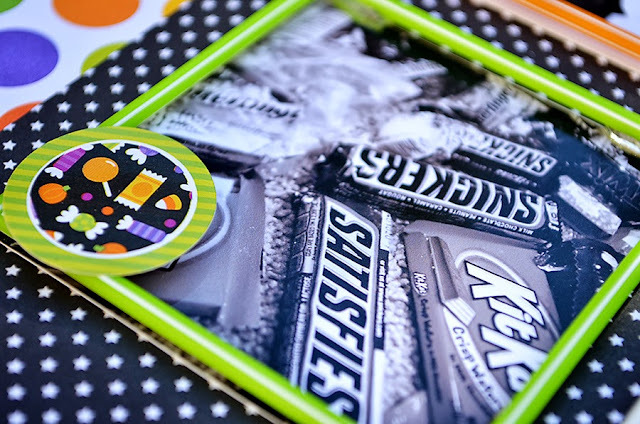 May your October be full of tricks and treats…but mostly treats! We'll be giving away a set of the new Halloween Parade Pixies and Toppers (shown above). All you need to do is leave a comment about what YOU would do with PIXIES. We'll announce the Doodlebug winner tomorrow on the blog and offer a new giveaway. 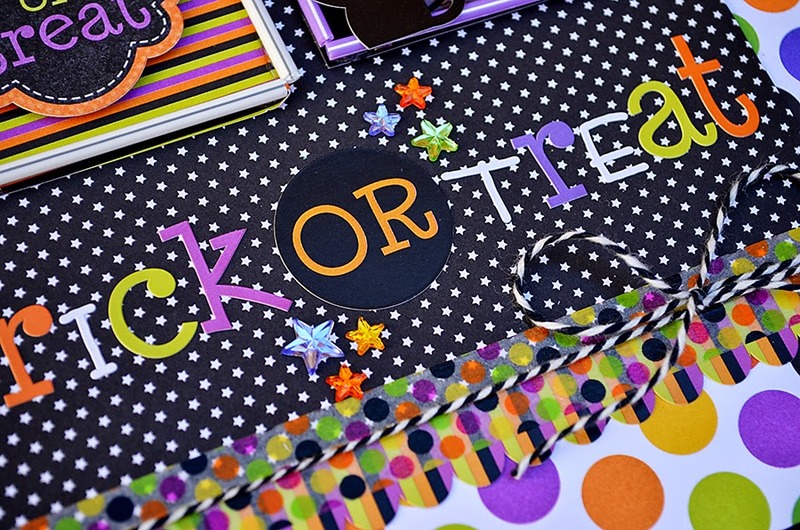 And don't forget to stop by the Xyron blog to enter to win some fun adhesive products. These are wonderful. I would use them for my card making, it will just add to the whimsy of any design!!! Fabulous projects!! Every Halloween we get together with friends and this year I'm bringing cupcakes and would love to have the pixies to stick in cupcakes with the matching toppers. Love the pixies and the projects! I would make the spiderweb but on a larger scale for decor in my house. Thanks for the chance to win! I love the idea of using them for frames! What a neat idea. Great layout! I would love a set for some darling cupcake toppers! What a cute product! I would want to try using them as frames like Wendy Sue did or like Kathy M did around icons on her cards!! Or like Tya did on Monday's post - super, clever ideas - ALL of them!! I would like to try making letters with them or gluing them together and cutting out shapes. I love the frame look and would love to try that!!! I would use the pixies on some cute holiday cards I am making. I'd like to try the frames. These are absolutely adorable! 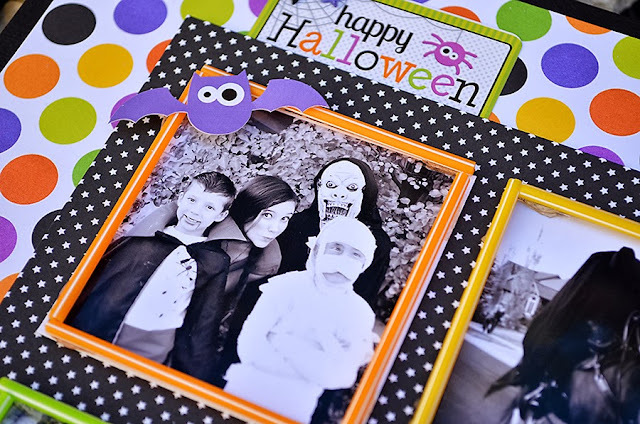 I would use some on scrapbook pages and the rest to make cute new Halloween decorations for our home! Thanks for the chance to win such cute goodies! I would use them on cards or to embellish the frames on my scrapbook page! Love Trick or Treat! Very clever way to use the Pixies! I'd use them to embellish ATCs and cards! I make greeting cards so I'd use some for my cards and gift tags for holiday presents. I'm starting to use my Cameo to cut out boxes and bags so it would be used for those to. Love the bright dots. I would use the pixies to make flags. You could also use them for the stick on a lollipop. (Swirl baker's twine around & add the pixie stick.) The pixies could also be used to make a picket fence across the bottom of a page. Add a few owl doodle pops and you're all set ! Wow everyone that has commented has such great ideas. I Love the picture frames that were made and would probably do that first. I would use them as toppers for cupcakes! Would LOVE to do some creative pixie decorating around the house for the kids! They would LOVE IT! Tricks and Treats!! I'd use them with my Girl Scout Troop for fun crafts! Super cute layout!! I would use the pixies for Halloween treat bags! I would make treat bags for the neighborhood kids. What fun items!! I would use them on layouts and cards. I love the way you framed photos with them, thanks for the inspiration! the truth is that I have not had chance to try the pixies, for this reason I would like to win! Since we see such beautiful projects inspire one to want to create things! I would love to win this prize. I would make a Halloween card with a pixie spider web. What a fun and colorful LO! These are so cute! I would use them in scrapbooking layouts and maybe treat bags for the kids at school. Thank you! id love to do some kind of scrap book with it! oh boy! I think I would use them as frames, too...but who knows? The ideas are endless...all I know for certain is that they would end up in a crafty project for sure! If I was the lucky winner, I would make a bundler of BOO-tiful cards and a super cute mini album :) Thank you for the inspiration and the chance to win!!! Oh, for cards! They are so cute! I would copycat and try those picture frames. I'd use them as frames, cuz I'm not that inventive. But I'd have to get my hands on them to know for sure! I would use them for home décor pieces to put up in the house for Halloween time! I've never used pixies before but I think they would make great holders for cupcakes and you can put a little tag on top of them. Great layouts! I would put them on my daughter's Halloween bows and headbands!! Incredibly fun 3D projects. The boots are awesome and love all the spooky, cute details on the frame. OOPS, forgot to let you know I would definitely use them for card making. They would be so cute to use them on a paper mache' Halloween house. You could use them to frame the windows and doors, outline the roof, walkway, make a cute tree with branches and leaves. You could make a really cute village with them for Christmas too. i would use these for scrapbooking. 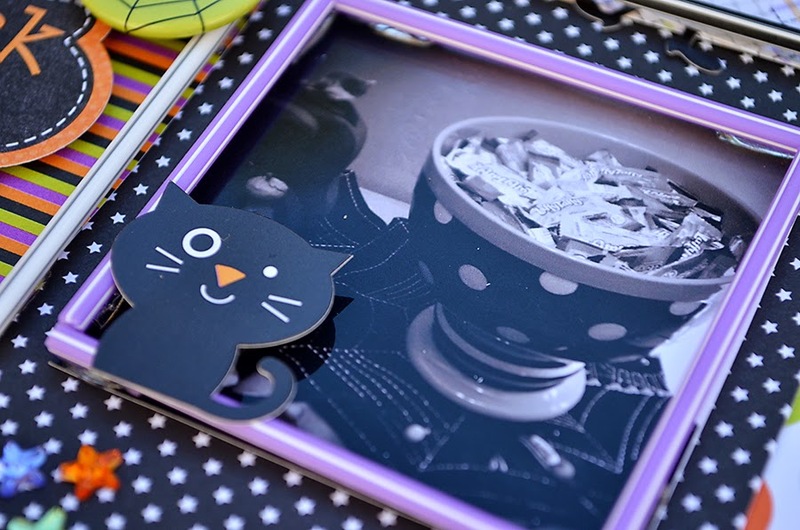 Tutorial Tuesday: Day to Day "Besties Layout"
Flashback Friday: Vellum + Pixies + Giveaway!